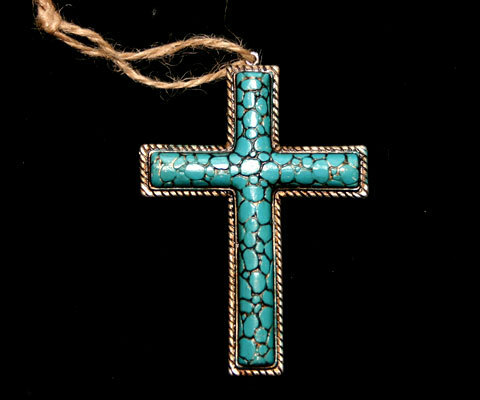 This is an awesome western styled cross Christmas ornament that has the look and color of rich turquoise chips. A great accent for your country or western home decor. Made of resin. Measures approximately 4 inches long and 2.75 inches wide with a jute twine hanger.